Your recent letters have, in the main, been about Scarborough Borough Council elections, so I’d like to throw in my two pennorth with my views on Whitby Town Council where new and pre-existing councillors have been returned by default. Looking at these results isn’t it time we got rid of this layer of democracy? This council has little power when push comes to shove, and more often than not, when they have to make a decision, such as planning, they go against their electorate’s wishes. When did you last see town councillors walking around their ward getting to know residents and their views on local issues? When there is a major planning decision such as the NatWest building did any of them go out and ask our views, or arrange a public meeting where we can air our views, and not at the council meeting, but in our own wards? And money-wise, why do we pay more in council tax than residents in Scarborough town? Because we have to pay a precept for, in the main, a shower of bickering children who couldn’t make the right decision if their backsides were on fire, while Scarborough does not have a town council, so no precept. Yes, I know this is harsh, and yes, I have attended town council meetings. This letter may be written with a little bit of tongue in cheek, but its purpose is to wake up those golden oldies who’ve sat comfortably in their seats for years, knowing they no doubt can do for years to come. And to encourage the newbies, most of whom I guess the majority of residents have never heard of before, to make themselves known in their ward by knocking on doors and introducing themselves or by asking Whitby Town Council to pay for a venue in each ward where every councillor representing it will be there to meet residents. 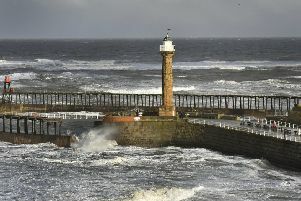 Whitby Town councillors, the ball is firmly in your court, honestly represent the views of your electorate, not your own opinion if it differs, and come out and meet the residents, we don’t all bite. And if there is no change in the way the town council works then it must be time for it to be disbanded.